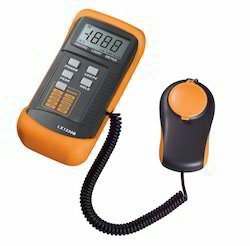 Mass- or volume flow measurement. Force (flux of linear momentum). 0 Pressure (flux density of linear momentum). Angular velocity or rotations per time unit. Energy carried by mechanical quantities, mechanical work. Electricity, electronics and electrical engineering. Electric current (current of charge). Electric resistance, electrical conductance (and electrical conductivity). Energy carried by electricity or electric energy. Power carried by electricity (current of energy). Electric field (negative gradient of electric potential, voltage per length). Amount of substance (or mole number). Energy carried by entropy or thermal energy. Radiation with a rest mass, particle radiation. 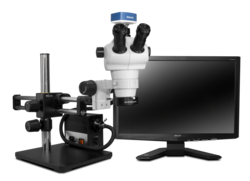 Atom polarization and electron polarization. Substance content in mixtures, substance identification. pH: Concentration of protons in a solution. Human senses and human body. EVAPORATING BASIN 'J' Brand. 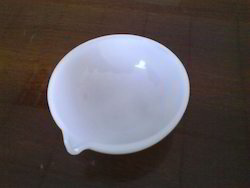 China Dish. With spout. Leveraging on our industry experience, we trade and supply an extensive range of HPLC Columns. These are developed in our robust infrastructure within the set industrial guidelines in order to meet the set industrial norms. 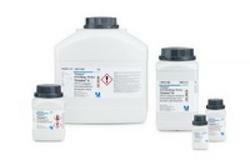 Our HPLC Columns are available at industrial leading prices. Ethylenediaminetetraacetic acid, widely abbreviated as EDTA, is an aminopolycarboxylic acid and a colourless, water-soluble solid. Its conjugate base is named ethylenediaminetetraacetate. It is widely used to dissolve limescale. 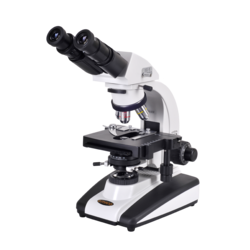 ISI MARKED BINOCULAR RESEARCH MICROSCOPE: IS : 4381 & IS 8275.
and co-axial mechanical stage for ease of working and convenience. These are low priced units meeting the majority of the small capacity centrifuging requirements of medical practitioners, pathological laboratories and hospitals for routine centrifuging tests. The units are fitted with resiliently mounted motor for vibration free performance having built in 5 step speed regulator. Available with Swing out or Angle rotor. Mini Centrifuge permits Scientists to spin down small samples ranging from 0.2 ml to 1.5 ml. Blinking pilot lamp (one blink per second) for accurate time counting in seconds to facilitate short spin. 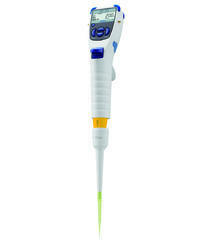 This centrifuge is ideal for Applications in PCR, Cell Separation, and Biotechnology work and in clinical labs. - Quick acceleration to full speed. Supply: 220-240 Volts. 50 Hz. Single Phase. A mortar and pestle is a device used since ancient times to prepare ingredients or substances by crushing and grinding them into a fine paste or powder. The mortar is a bowl, typically made of hard wood, ceramic or stone. The pestle is a heavy and blunt club-shaped object, the end of which is used for crushing and grinding. 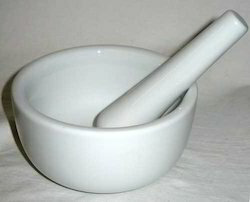 The substance to be ground is placed in the mortar and ground, crushed or mixed using a pestle.Mortars and pestles have been used in cooking up to the present day; they are frequently also associated with the profession of pharmacy due to their historical use in preparing medicines. They can also be used in masonry and in other types of construction. Our reputed entity is engaged in supplying Lutron Lux Meter.